Have you ever felt that an interior becomes worse because of a techy speaker? You’re not alone. 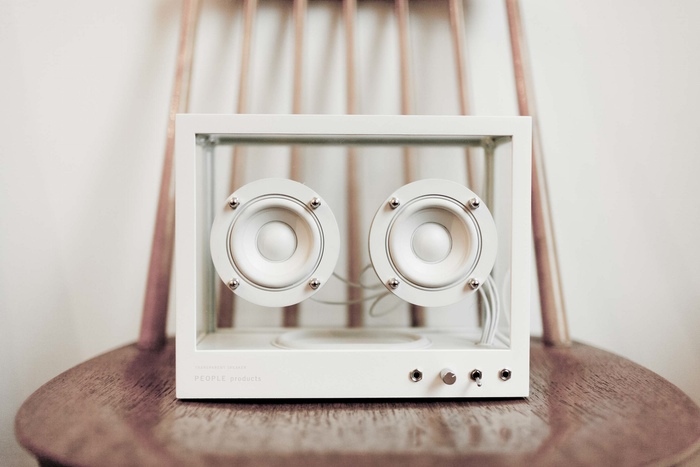 The Small Transparent Speaker looks great in any environment, from kitchens to bedrooms. Hardened glass sides makes it blend in by showing what’s behind the speaker. A white coated aluminium unibody frame makes it neutral so it feels right in any context. We have worked tirelessly on every single detail to ensure aesthetic perfection. On the front, you have a volume adjustment knob, a classic rocker switch for power on and off, a LED to show you if the speaker is on and a 3.5 jack if you prefer to use the included cable for your audio source. 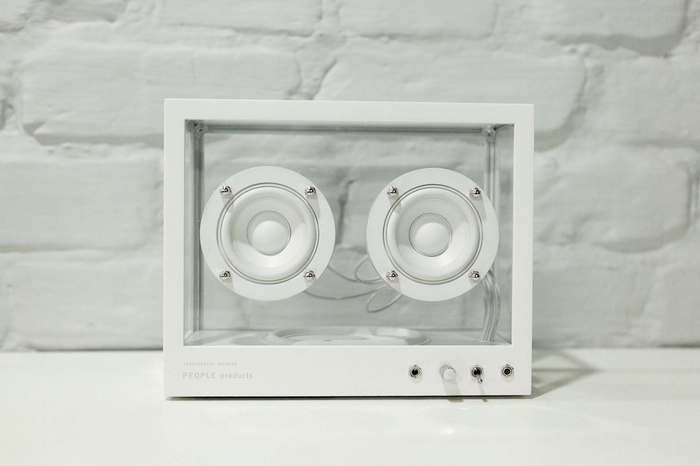 The Transparent Speaker is built with premium audio components. The two-custom made 2.5 inch full range drivers deliver crisp lifelike vocals, while the passive bass radiator gives a punch to any beat. It has a built-in amplifier which has embedded digital signal processing (DSP) to ensure a full and balanced crystal clear sound. If you use a high resolution audio streaming source, you will really start to hear new things.